So you’ve graduated from dental school – now what? If you want to open your own dental practice, you’ll need more than just your skill at filling cavities. In addition, you’ll need a business plan, significant funds, and a few sets of hands ready to help. Before you strike out on your own, consider these questions. You went to dental school, not business school, so a business plan may not be a genre of writing you’re intimately familiar with. But if you’re going to get lenders to invest in your new practice, you’ll need a business plan that reads well to the people who control the purse strings. If you’re not sure how to get started, refer to a more general business text and then move on to these five key factors: capacity, revenue, expense management, patient service, and team. You’ll need to address how your business will fulfill each of these criteria. Investors will ask prying questions about these five areas, so be sure you can answer to each concern in detail. How Will You Fund It? Very few people have enough capital to start a dental practice on their own, especially at the beginning of their career, so expect that you’ll have to borrow money to pay for this entrepreneurial expedition. Furthermore, getting that money won’t be easy. While dental practices may seem like a rather safe investment bet as possible options go, lenders will look for any flaw in your financial history, such as a missed student loan payment. This is primarily an issue when financing your practice through banks, however. You might also fund your practice through individual contacts with access to capital. Be sure you work with a lawyer to craft clear contracts for lending and repayment if you choose this as a potential source of start-up cash. What Services Will You Offer? 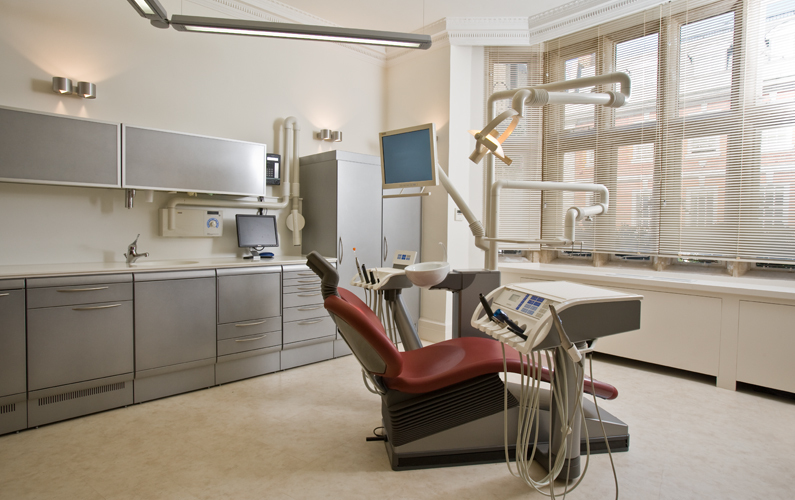 Did you specialize in any particular services during your time in dental school? If so, some of your intended services may require especially expensive equipment. Be very clear about your intentions – you might plan to offer only basic services at first and then escalate as your practice grows. If this is your plan, choose your office space carefully. You’ll need rooms that are large enough for any additional equipment down the line. You don’t want to have to move your practice because you didn’t plan ahead. You aren’t running an entire dental practice on your own. That would be unrealistic and unsustainable in the long term, or even in the short term. However, due to early financial constraints, you may need to start off with a smaller staff. Make sure you understand what staff members are most vital to running a successful practice. You may be tempted, for example, to skip hiring a full time receptionist, but then who will schedule the appointments that bring in revenue? Better to do slightly more of the dental grunt work yourself and have a responsible front of office staff member than skip the receptionist in order to hire more dental specialty staff. Starting a new dental practice can be a bumpy ride, but if you build a strong business foundation, you set yourself up for a greater chance of success. Learn some business savvy, mind the numbers, and this could be the start of a fruitful career. This is the beginning of a challenging path toward a new career, so plan now and reap the rewards later.